It’s not just the users it’s also the technology. New email tools are specifically designed to sort out spam emails… and those that aren’t sorted into trash are often discarded by the user. So why, then, does email remain the marketing channel with the best ROI? It is possible to stay out of the spam box; it just takes some work, the right tools, and a thorough understanding of the market. Collect your email lists the right way. What is “spam”? Your goal should be developing a list of email addresses that originate from users genuinely interested in your products. Buying, scraping, or otherwise “acquiring” unrelated emails are the fastest and easiest way to alienate people. Let your readers opt-in — and make it easier for them to opt-out. The goal for an email list isn’t to “spam” as many people as possible; it’s to really pare down to those who are ready to make a commitment. The more focused your email list is, the less time you’ll spend chasing down bad leads. Ask your readers to authenticate their email addresses. When opting in, readers should always have to authenticate email addresses. This avoids a very common problem: accidentally entering in an incorrect email address and ending up with bounced emails. Remove users that don’t interact with your emails. One-way email filters work is by filtering out keywords, but another way is by using blacklists. If your company has sent out spam in the past, it may be on a blacklist — which means you’ll automatically be sent to spam. There are databases and tools you can use to find out if your company’s reputation may precede you in a negative way. Don’t try to “trick” users into not unsubscribing. Not only should your unsubscribe button be easily visible, but the process itself should be easy. Don’t make them jump through hoops: you aren’t reselling your email lists, so you have no reason to try to keep anyone who doesn’t want to be kept. Try to give your readers the content that they want. Optimize your content for your readers and let them select the things that they are most interested in. Make sure that the content you send out is timely and informative and don’t try to market to them too aggressively. This is an easy way to get your email address blocked. Don’t forget that email filters exist. Email software today tends to filter out spam email based on certain hallmarks, such as free link shorteners, an abundance of keywords, and “bad words” such as ‘payday loan’ or ‘prescription medications’. 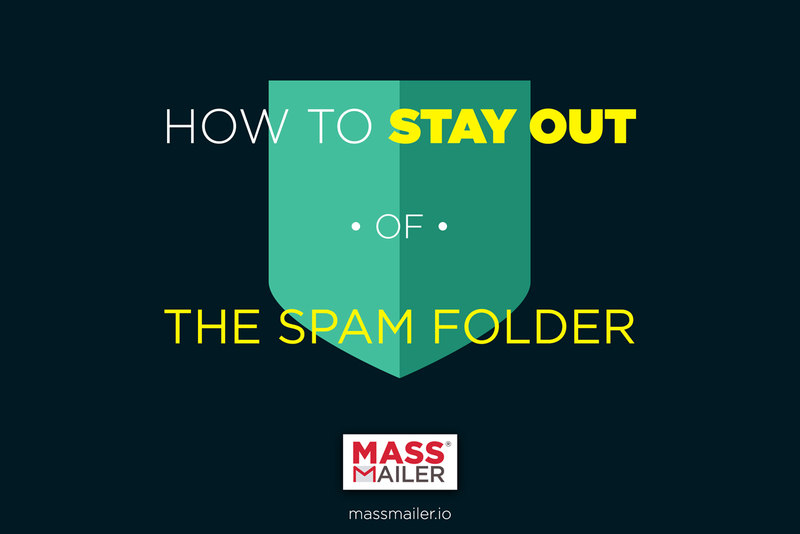 Make sure that your emails aren’t triggering any negative behavior in spam filters. Keep track of your statistics. Software solutions like MassMailer and Google Analytics can work together to give you an important array of email metrics. Track these metrics to make sure that your campaign is still effective and that your engagement is high. What if your plan isn’t working? Then it’s time for Plan B. If you do get blacklisted, end up with inactive users, or just can’t seem to break through, you should have some alternate resources available. Creating a solid email marketing plan isn’t easy, but all it really takes is developing solid communication with your users. From there, you just need to give them the information that they’re already interested in. Your ultimate goal is to facilitate their needs and to find solutions to their problems; from there, everything will simply come together. MassMailer can be used to create active email lists, send customized emails, and automate and streamline mass mailing services.